LCA third graders marked the first day of spring with a day in Monroe. 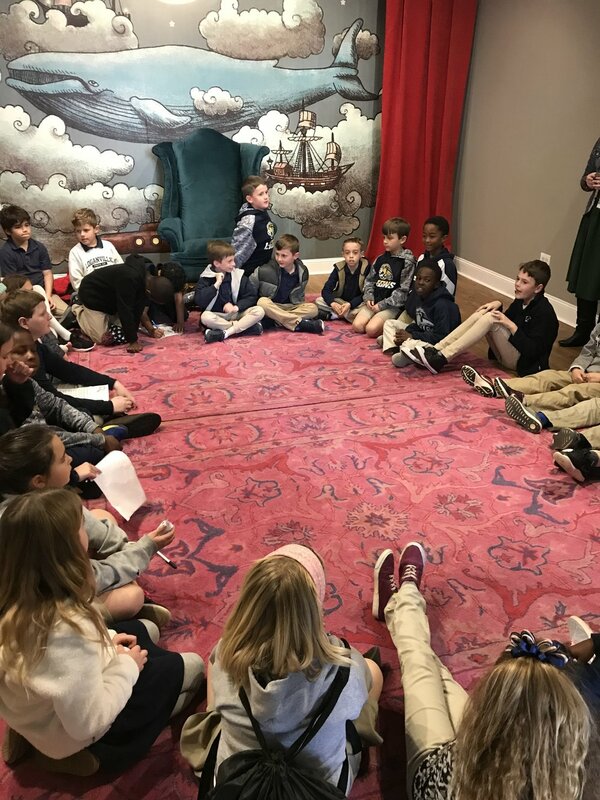 Students began their visit with a trip to the historical courthouse. Mr. Steve Brown from the Monroe Museum took them on a tour and shared information about the history of Walton County, Monroe, and the courthouse. The 3rd grade teachers, Mrs. Cote and Mrs. Echols, were thrilled to be able to look around and inside the actual courthouse. From there, they went to The Story Shop to hear about Laura Ingalls Wilder since they have been reading Little House on the Prairie. The kids also completed a scavenger hunt inside the shop and played pioneer games. Their next stop was Your Pie where they “made” their own pizzas and fellowshipped while they worked on a pizza fraction sheet. 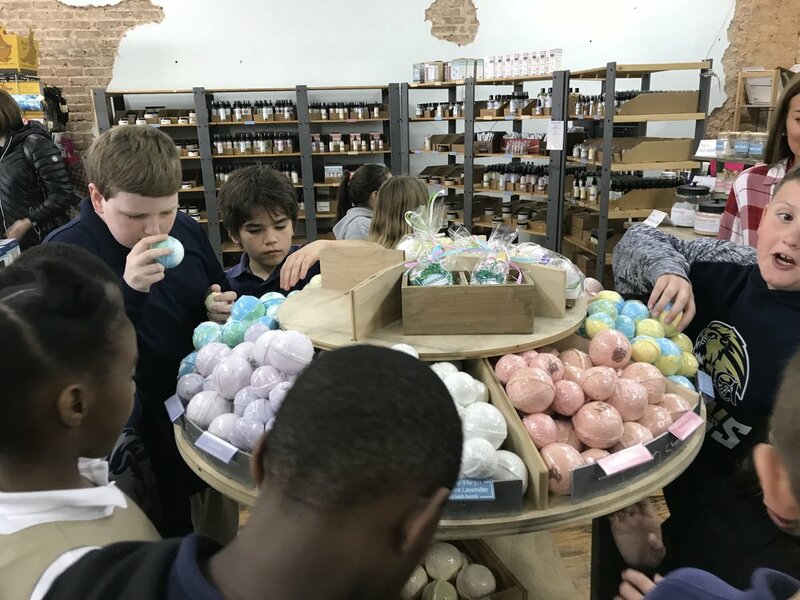 Then the students stopped at Rinse to learn how they use natural, human, and capital resources to make their soaps and other products, which then travel to 2,000 other retail locations! The final stop of the day took them to the art guild to admire the beautiful art the LCA middle school students have on display there. The guide even shared the history of the building.